Emotional Weight Eliminator™ is an infusion of carefully selected flower essences found to be highly effective at controlling and eliminating the moods and emotions that compel you to eat unwittingly in an effort to satisfy those feelings with comfort foods. This is a very unique supplement that trains your brain to transmute the emotions that are overcoming you into feelings of calm and control thereby satisfying your need to medicate with comfort foods. Emotional Weight Eliminator is a weight gain inhibitor which, with continued use, will lead to weight loss and healthy eating habits. It is not a weight loss product. It is a weight gain inhibitor. Ingredients are Flower Therapy (not to be confused with Aromatherapy) is a unique form of harmonizing medicine that uses the healing powers present in flowers from around the world to heal not just the body, but also the mind. 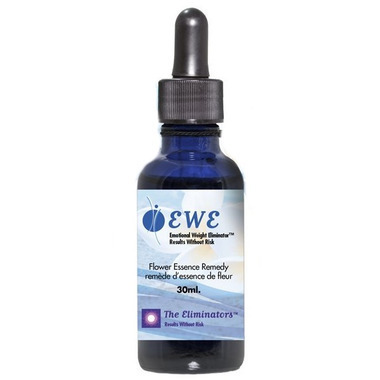 This holistic healing is made possible through the synergistic infusion of carefully selected Flower Essences or Formulae (a combination of flower essences) that contain the revitalizing, healing energy of flowers specific to the treatment of Emotional Weight gain. The ingredients work as catalysts, empowering you to bring about a change within yourself, correct emotional imbalance and rise above your fears. Important Note: Emotional Weight Eliminator is not a drug. It is not addictive. It will not interfere with or contraindicate with an Rx medication or over-the-counter product that you may be taking.